GLADSTONE is an industry town and it should be proud, according to Aleeta Skiller. 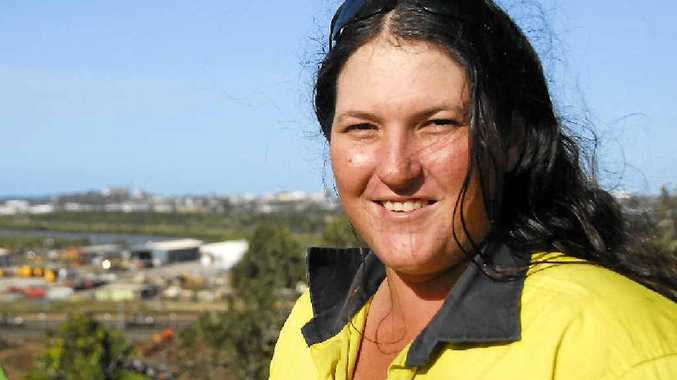 The courier driver has lived in Gladstone for 18 months and stumbled on her special place at the lookout on Jeff Ringland Dr when she was working. "I was looking for somewhere to stop that wasn't on the main road so people didn't see me and think I was doing nothing," she said. "Then I found this. The random things you can find in Gladstone." Miss Skiller likes the view from the lookout because you can see and hear all of the industries at work. "When you come out here at night time, you can see the coal terminal and power plant all lit up," she said. "It's real. That's what Gladstone is, an industrial town." Miss Skiller's brother previously worked at Coates Hire just down from the lookout. "When my brother was here I would see what was happening down there and try to spot him," she said. "I'm not certain I ever did." The courier driver is from Noosa and she likes to compare the parks. "In Noosa a place like this wouldn't be nearly as well kept," she said. "Also, if they had Spinnaker everyone would absolutely love it. "There is something typically Gladstone about this spot up here. You're seeing the people of Gladstone working in the industries that it is known for."